Few things are as exciting as bringing a new puppy into your home and into your life. Deciding whichpuppy to bring home is a big decision. That’s why here at Zwinger vom Heidelberger Schloss, we’re committed to ensuring you have the best possible experience. 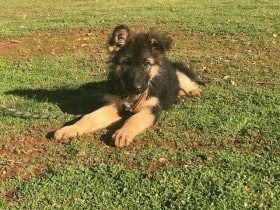 Located in Northern California, we breed top-quality German Shepherd puppies. According to the American Kennel Club’s (AKC) registration stats, German Shepherds are the second most popular dog breed in America. And for good reason! They are a herding breed known for their intelligence, courage, and loyalty. They are protective of both adults and children that they consider part of their pack, and also make excellent guard and rescue dogs. Zwinger vom Heidelberger-Schloss has over 30 years of experience of breeding German Shepherds. When you purchase your pup from us, you can rest assured that they are obedient, highly socialized, and have an excellent temperament. The modern German Shepherd is a medium to large-sized breed that is strong, athletic, and muscular. 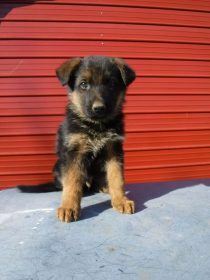 They come in a variety of colors, the most common being either black & tan or red & black. Color variations include black masks and black body markings, which can range from a classic “saddle” to an overall “blanket.” Rarer color variations include sable, pure black, pure white, liver, and blue. The all black and sable varieties are acceptable according to most show dog standards. Blue and liver color variations are considered to be serious faults, and all white German Shepherds are disqualified from dog shows. German Shepherds are fearless, observant, extremely intelligent and quick to learn commands, making them a popular choice for use as working dogs. They are well known for their police work, used to track criminals, patrol troubled areas, and keep officers safe from dangerous suspects. Every year, thousands of German Shepherds are deployed for military operations, warning soldiers to the presence of enemies, booby traps, bombs, and other hazards. Additionally, German Shepherds are one of the most widely used breeds in a variety of scent-work roles. This includes search and rescue operations, cadaver identification, narcotics, explosives, and mine detection, among other things. Their work ethic, keen sense of smell, and laser-like focus make them especially well suited for this line of work. We are committed to providing you not only with a loving and obedient dog, but also with a guard dog who will protect you and your loved ones, be a constant companion, best friend, and treasured family member. Stop back soon, We always have new dogs available! 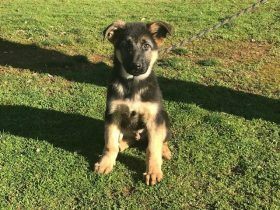 Zwinger vom Heidelberger Schloss is a German Shepherd Kennel focused on improving the breed through a German Shepherd puppy breeding program that follows the strict guidelines of the SV in Germany. Thomas Sauerhoefer, owner and operator of Zwinger vom Heidelberger Schloss has over 30 years of experience working, training, and breeding German Shepherd Dogs. Vom Heidelberger Schloss is the premier German Shepherd Kennel in Northern California. 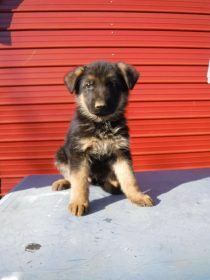 It's the best spot for people in Northern California towns to find a top quality, local German Shepherd puppy or adult. The German Dog Center is a short 2 hours from the Bay Area, San Francisco, Napa Valley, Redding, Lake Tahoe, Reno and is only 1 hour North of Sacramento.